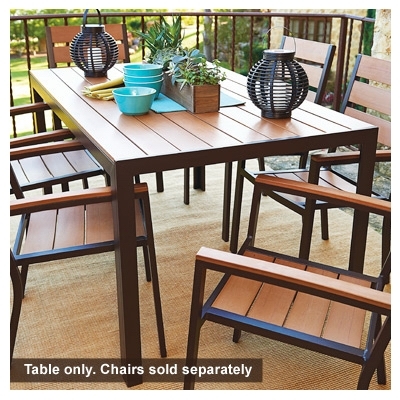 'Foster Group 5 piece patio dining set' includes 4 sling-back chairs, and 40" x 68" tempered smoky glass table, powder coated aluminum. 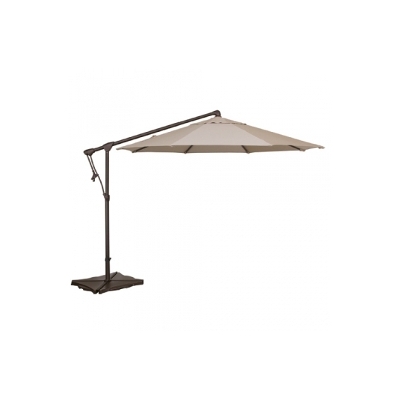 Also available, sling-back swivel rockers and market umbrella, sold separately. 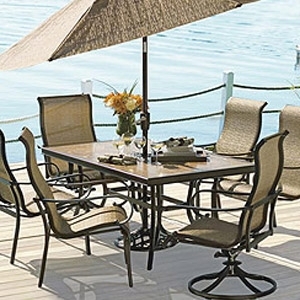 Includes 40"x 68" in-laid tile top dining table, with powder coated aluminum rust free premium dark frame finish. Neutral taupe & copper colored tiles with copper accents & captured rim, and 4 high back sling dining chairs. Other pieces available. 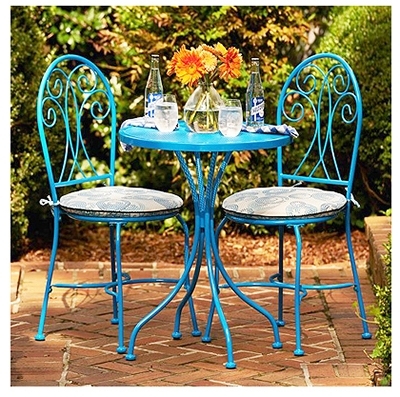 Malibu collection, turquoise bistro set, chair: wrought iron, mesh seat, swirl design back, reversible cushion with paisley & dot designs. 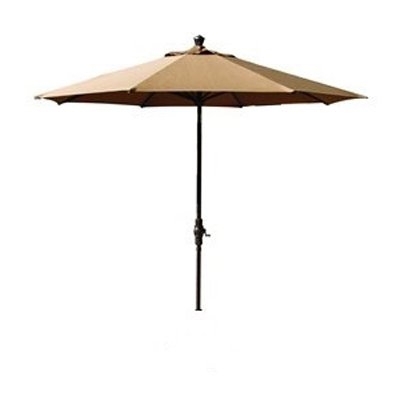 Tired of your old Patio Umbrella? It's time to pick out a new one for the new season. 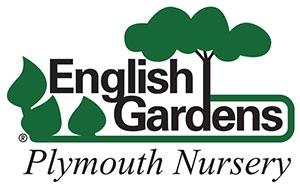 Plymouth Nursery carries outdoor umbrellas that are durable and reliable! Designed to be outdoors! 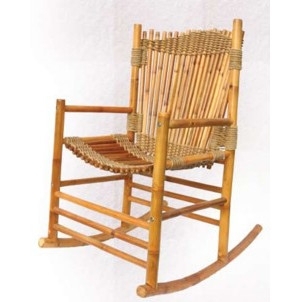 Add some comfort and style to your home with this beautifully designed Bamboo Rocker. Easy to assemble, maintenance free table. Comes with 6 chairs. 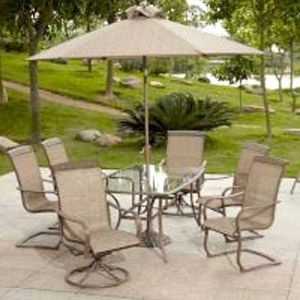 Four Seasons Courtyard Melrosa 5-piece cushion dining set. 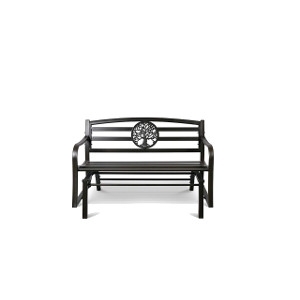 Durable hand painted brown steel frames, brown olefin fabric cushions are easy to clean with mild soap & damp cloth. 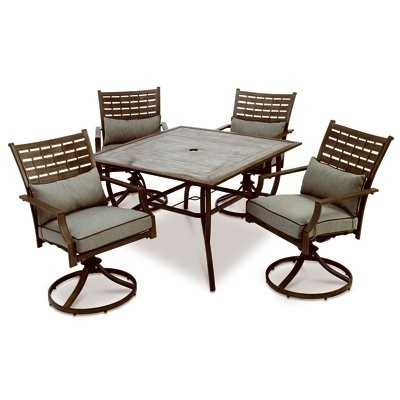 Four 360 degree swivel chairs, 250 lb capacity, 44" square cement stone table, assembled dimensions: chair 26.79" x 24.43" x 37.04" & table 44.13" x 44.13 x 27.97". 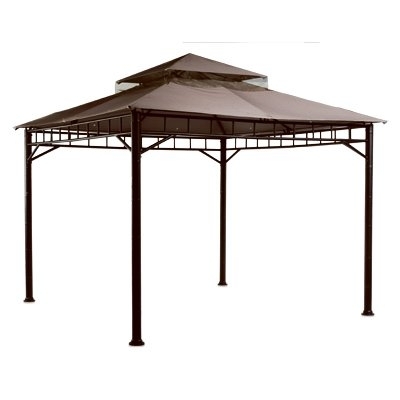 10' x 10', tiki aim gazebo, easy assembly with no tools or hardware, can be an instant addition to any home in no time, sturdy, powder coated steel frame & weather resistant 160 gram polyester tan canopy with double roof design promotes air flow.